Other number ESD:00068 on sticker below display. 10 x 16 x 10 in. 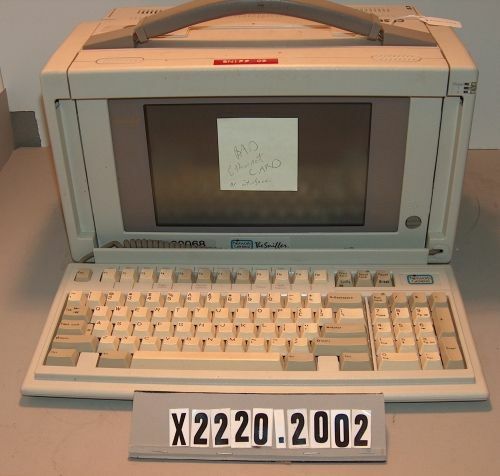 Rectangular box with detachable keyboard and inset glass monitor screen. Attached to the outside of the unit is a red label that reads "SNIFF 09". Dimensions are with the keyboard and monitor stowed.